Hazeus nephodes E.K. Jordan 1925. Stout spine at anterior of both dorsal fins. To two inches in length. Found only in Hawai'i and Marshall Islands on the sand. Kona pic. 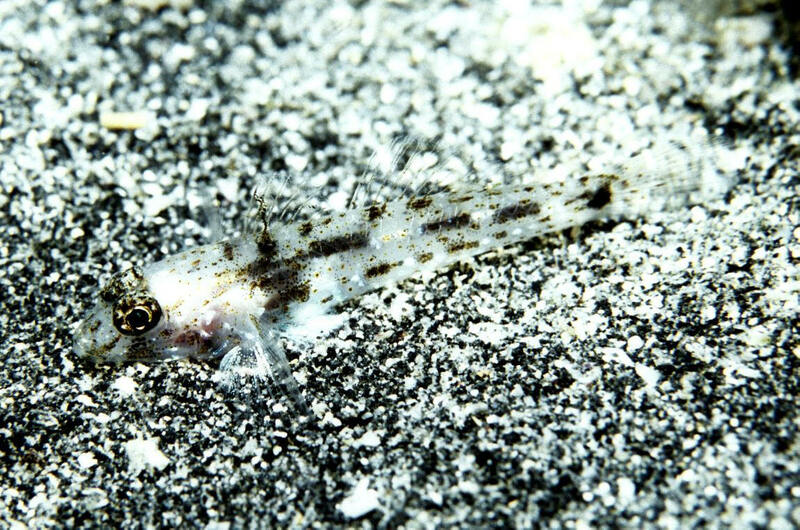 Istigobius rigilius (Herre 1953), the Orange-Spotted Goby. Molucca, Philippine Islands to Australia, over to Fiji and Marshall Islands. To four inches in length. Here in Raja Ampat, Indo. 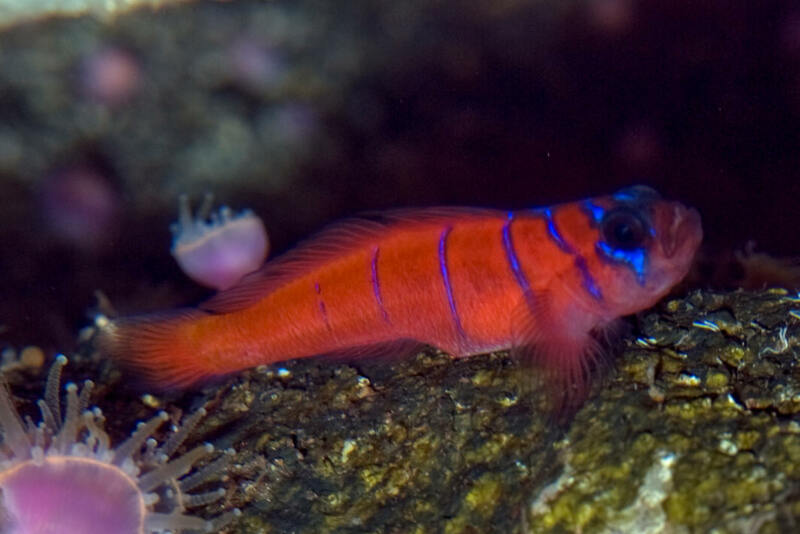 Lythrypnus dalli (Gilbert 1860), The Blue-Banded or Catalina Goby: This brilliant red and blue beauty is from off the two California's Pacific coasts. It is not tropical, and will only live a short while in water in the upper seventies, eighties. It should not be sold as a warm-water organism. Why do I, should I mention this? It is an embarrassing sham in the trade, and a waste of resources. This one at SIO Aq. in San Diego, CA.